It measures 0.6 inches (15 mm) in diameter, it is made of wood, has two holes and is polished. Since the button is not painted, it suits almost all kinds of yarns. 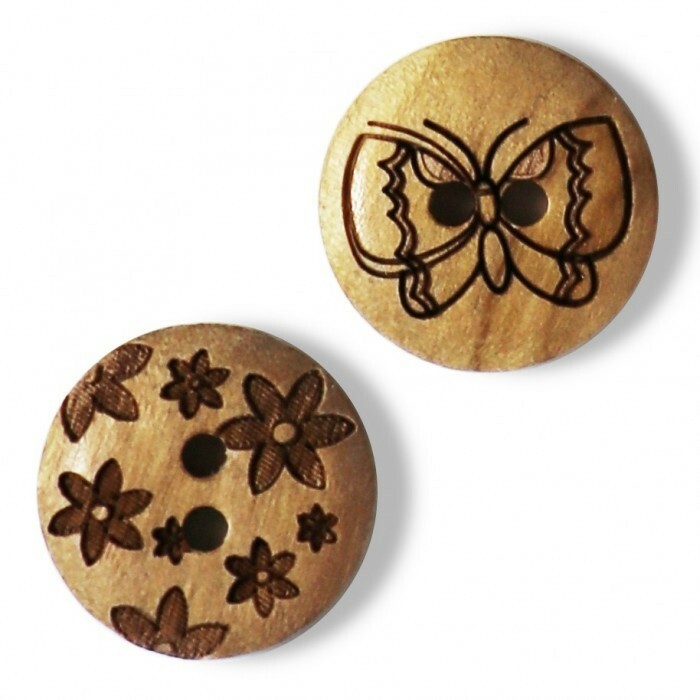 There is just something special about natural wood buttons on kids’ clothing. We love them! The buttons are washable at 86℉ (30°C ).